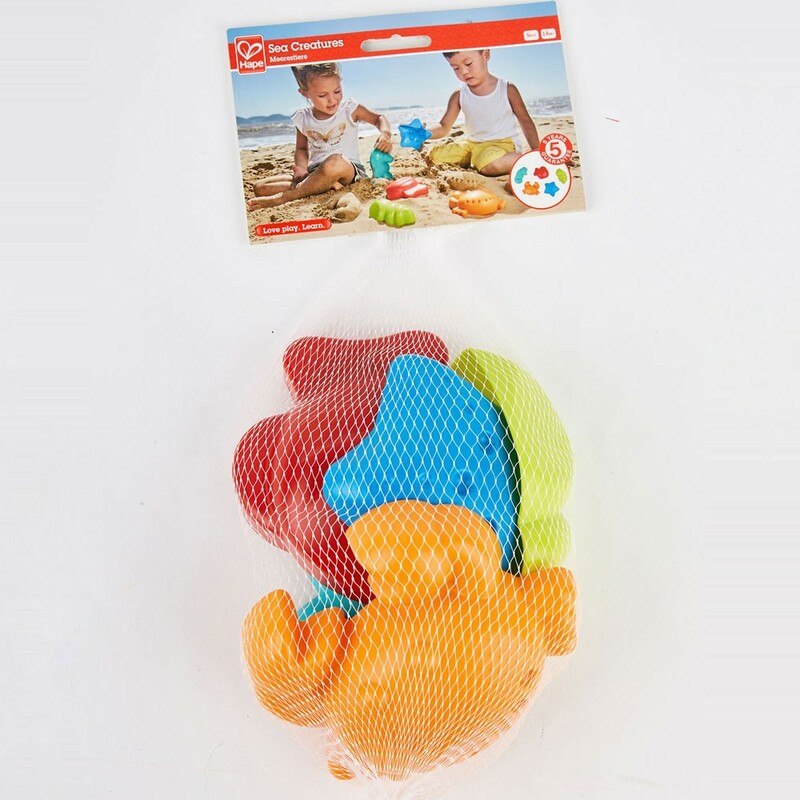 Hape Sea Creatures sand and water toy set in bright color combination will turn a pile of sand into the under-the-sea world. 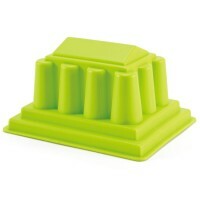 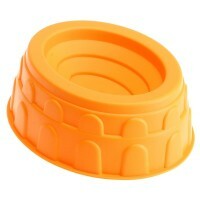 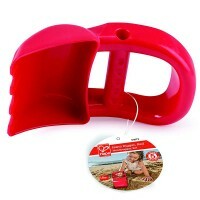 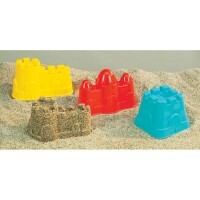 Hape's favorite sand set now comes in brighter colors! 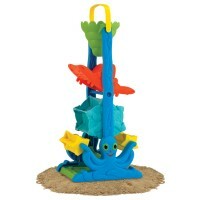 Create your own aquarium full of sea animals on the beach or in your own sandbox! 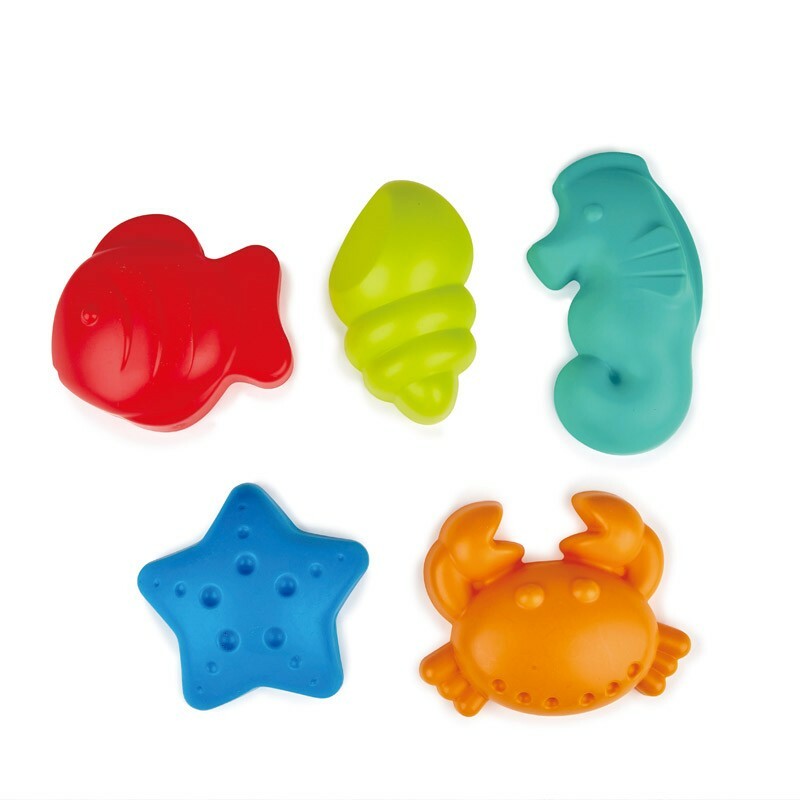 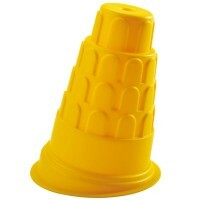 The sea creatures set brings 5 bright plastic molds to make your child's outdoor play more imaginative. 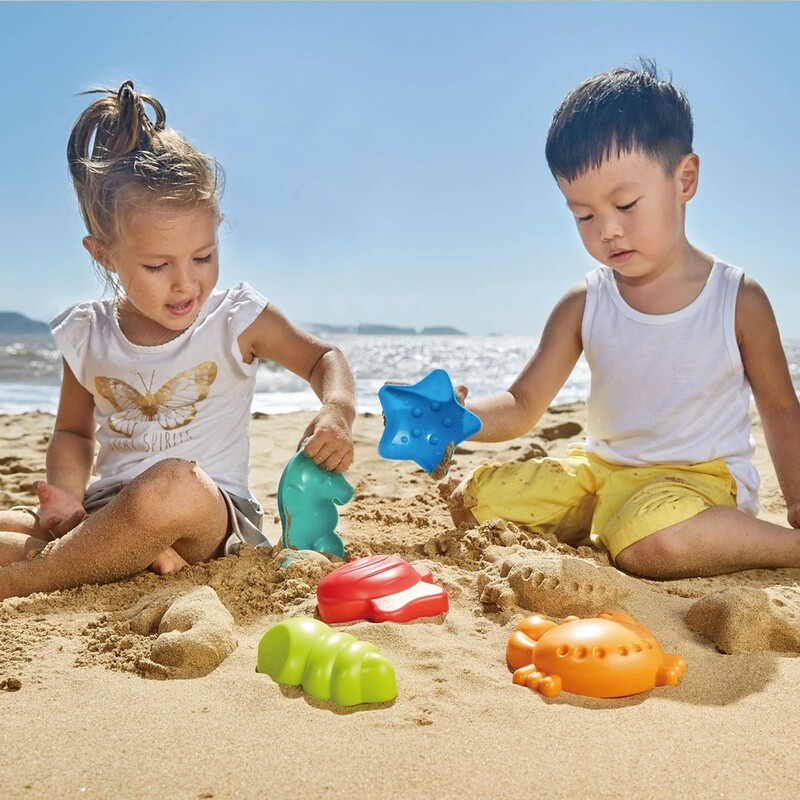 This sand and water toy set from Educational Toys Planet includes a crab, fish, sea horse, shell and sea star to turn a pile of sand into under-the-sea world. 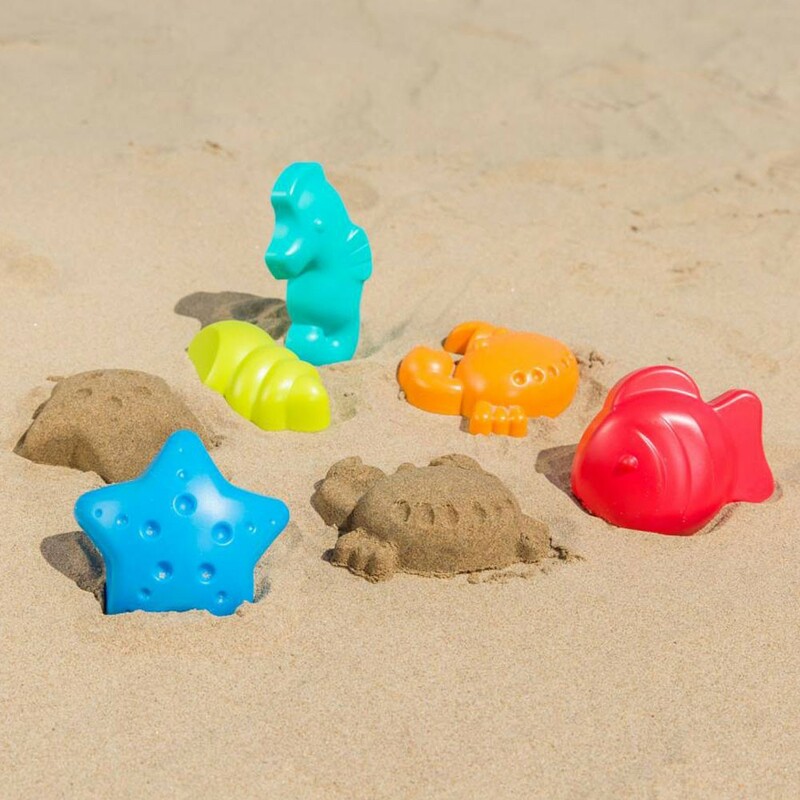 This sea animal sand set is light-weight and easy to take-along to the beach. 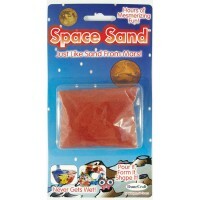 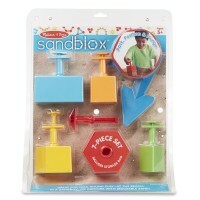 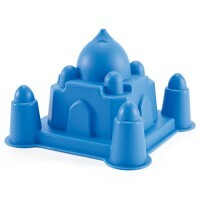 This sand playset is an awesome idea for a summer party favor or small kids gift that will make any child happy. 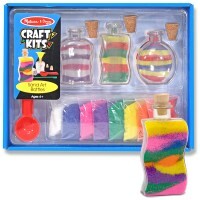 Dimensions of package 5.1" x 5.5" x 13"
Write your own review of Sea Creatures 5 pcs Sand Play Set - Bright Colors.